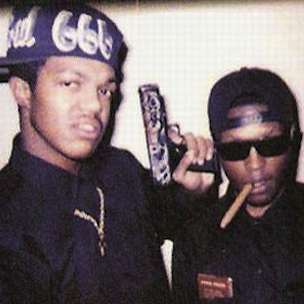 Three 6 Mafia has lost one of its founding members, as Lord Infamous passed away last night (December 20) at his mother’s home in Memphis. He was 40. In 2010, it was reported that Lord Infamous suffered a heart attack and stroke. Both Gangsta Boo and Juicy J tweeted about the rapper’s condition during his residency at the hospital. Juicy said, “Lord infamous is doin ok” in a tweet around the time he was at the hospital. Details regarding Infamous’ heart attack at the time were scarce. “I think I was one of the last people to find out,” he said. “I found out this morning around 9 o’clock. They had been calling me. His family had been calling me. I think I remember, when I look back, I turned my ringer off. I usually sleep with my ringer on because of situations like this because it was the wee hours of the morning is when I found out that my momma had passed… But for last night I had turned the ringer off for the first time so I could get some sleep ’cause I had a lot that I had to do today. Lord Infamous is one of the founding members of Three 6 Mafia. Along with Juicy J and DJ Paul, he appeared on all of the group’s early releases and released his debut solo effort, Lord Of Terror, in 1994, which preceded the group’s breakthrough independent release, 1995’s Mystic Stylez. He also participated in creating Three 6 Mafia offshoot group, Da Mafia Six’s latest release, 6ix Commandments, which was released last month.